Lately, every time I open the freezer there is some container filled with some kind of liquid (usually water thank goodness) being frozen. Sometimes there is a small toy that is being frozen inside, you never know. 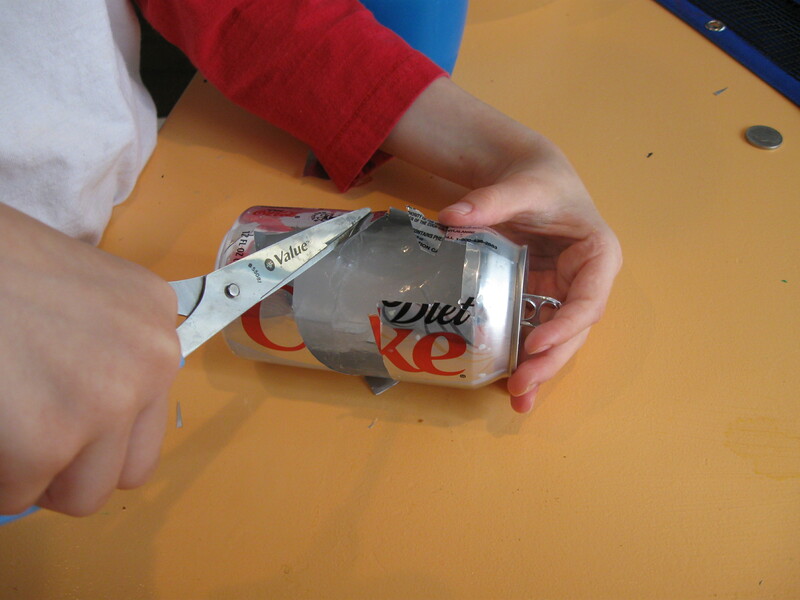 Today Luke had fun hacking at this Coke can to get out the cylindrical ice prize inside.